Art. 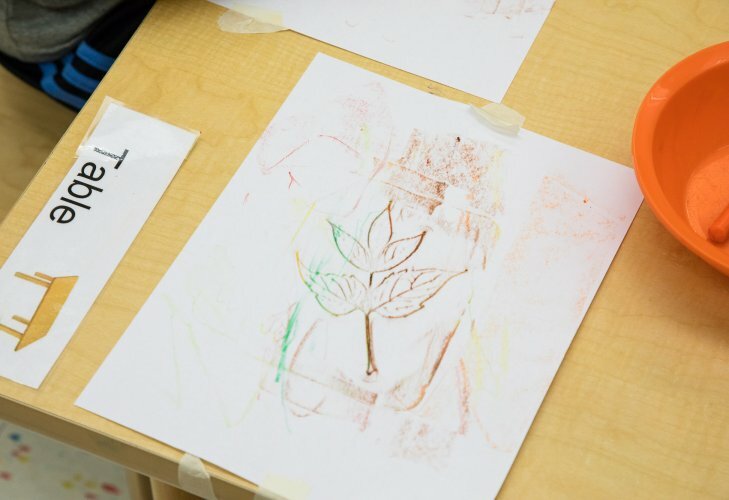 A rich arts program allows children to explore, discover, invent, create and grow in this expressive area. Art experiences are available in all classrooms, every day. In addition, the Threes and Fours work in our art studio each week. Texture, shape, color, line and form (the five elements of art) are used creatively and imaginatively in the art studio. Our children focus on the works of artists represented in the many museums throughout New York City. Children are introduced to media used by artists, they observe specific works of art and they apply this knowledge within their own expressive parameters. This experience culminates with a trip to a museum to see examples first-hand. Music. Music instruction is provided to all classes. In music class the children sing, dance and respond to music. Responding to music allows children to develop memory, listening skills, motor skills and imagination. Library. We have our own lending library which children visit each week. They choose books to share with their families and listen to a story read by our librarian or a "Guest Reader," a parent volunteer. French for Fours. "Bonjour"... "je m'appelle"... "un, deux, trois..." can be heard as our children listen, learn, dance and sing in French class. Our language program provides exposure to the sounds of the French language and development of a basic French vocabulary. Physical Education. 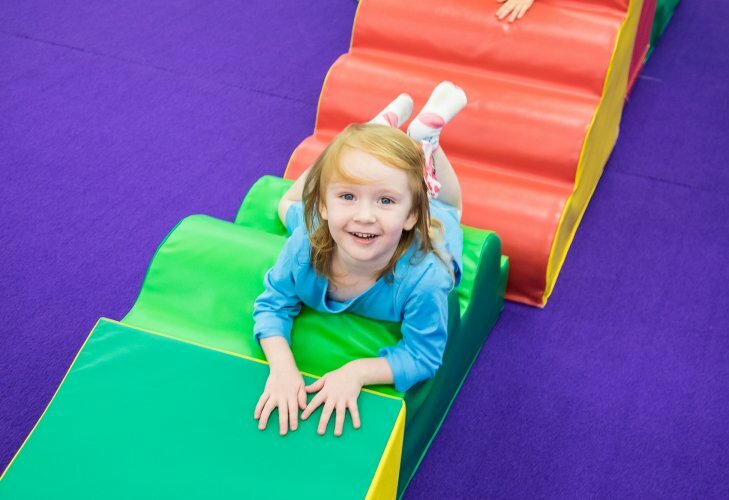 All children attend an indoor Gym program; once a week as Twos and Threes and twice a week as Fours. 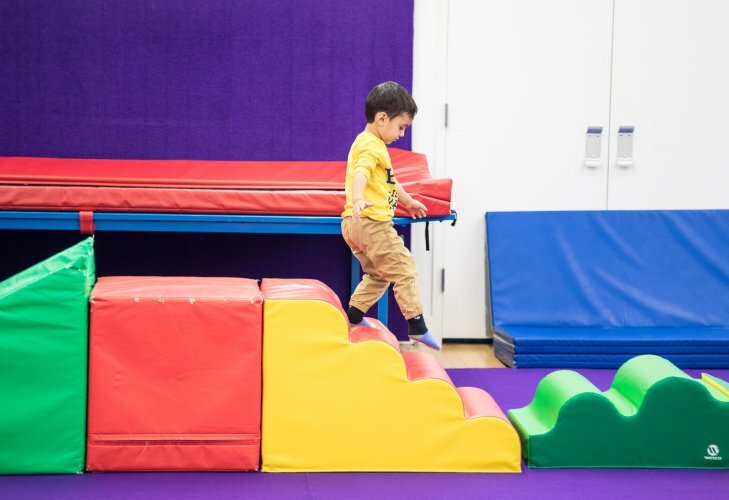 Our children work on flexibility, agility, balance, fitness and core strength with our professionally trained coaches in our modern facility. Playground is included daily for each class, weather permitting. In addition, the Two's classes work with a movement specialist. Our Three's and Four's classes meet weekly for Yoga. Living Science. An Animal expert visits each Twos and Threes classroom once a month. The animals brought into the classroom allow children to discover interesting facts about them, along with knowledge of their habitat. Physical Science. Our visiting Scientist visits our Fours classes once a month. Children are engaged through inquiry and exploration. Utilizing wonder, discovery and the process of science, children are encouraged to "explore outside your door" with concepts that promote questioning, gathering information, co-operation and critical thinking.